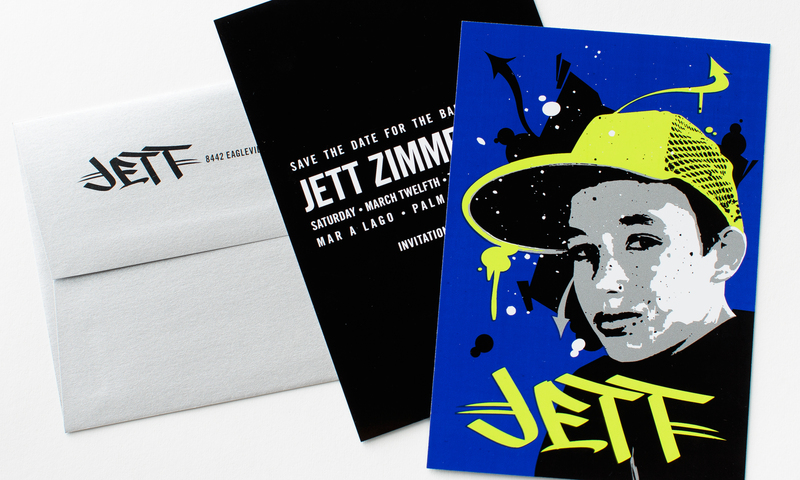 We printed a custom graffiti portrait on white plastic for this edgy save the date. 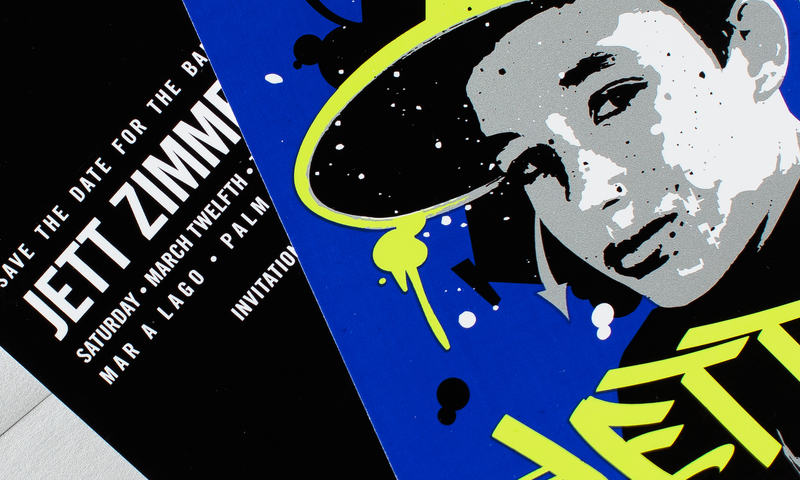 A solid black back with white writing created a clean contrast to the front. It mailed in a silver metallic envelope to pick up the silver tones from the image and set the tone for the main invitation that would follow.